I want to share my DIY Edge Regrowth & “Tame” Pomade/Balm. I put the tame in quotation marks just because I am not the biggest fan of people thinking they NEED/HAVE to have their edges “laid”. Personally I do not mind a little frizz but will admit there are times when I want a more “polished” look. If I want my edges “laid” I want to do so with a product that I know is not harming my delicate, fragile and super sensitive edges. So apart from using Flax Seed Gel (if I happen to have it on hand) then this is my “go to”. One of the the other reasons why I love this product is because it is a 2 in 1 mix. The most important aspect is that the ingredients used in the mix helps to grow healthy edges, takes care of your edges, is all natural and at the same time can help flyaways/edges (while not being damaging or containing chemicals & alcohols). It does not have a super hard hold but will definitely help with flyaways. 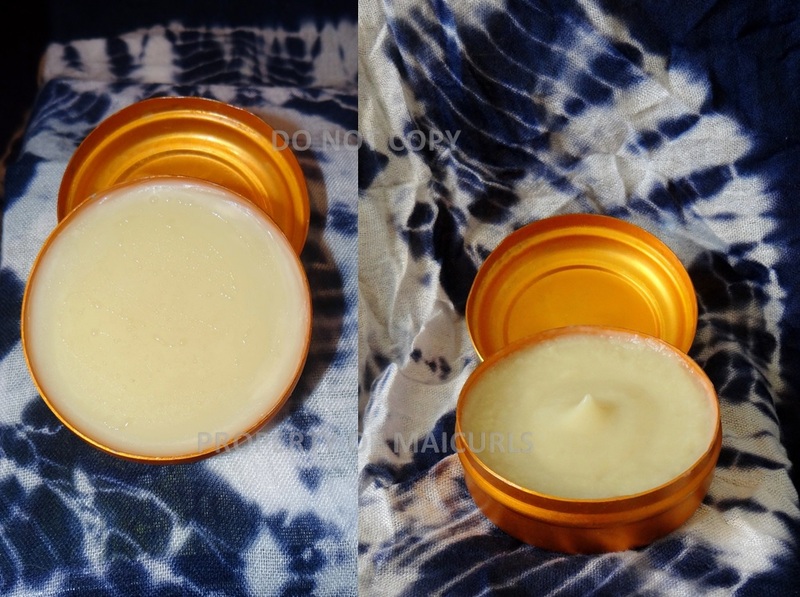 If you are wondering why is it a pomade/balm, basically you can select how you want the mix to set and depending on which of the two options you go for, you end up with either a pomade or a balm! Personally I prefer using it as a pomade because it is easier to get out of the container, quickly melts upon contact with your skin and you don’t have to store it in the fridge. It will not go off if it’s not in the fridge because I do not mix liquids (e.g. water, aloe vera juice etc) with the oils and butters. The shelf life should be 6 months to 1 year but it will really depend on the shelf life of the oils and butters you use. I have been using my mix for 2 months now and it is still going strong even though it is not stored in the fridge. 4 drop Citronella Essential Oil (Optional – you can use any Essential Oil of choice, Peppermint is a good choice to simulate growth). *If you live in warm climates and don’t want to the product to melt too much you can replace the Shea butter by using 0.5oz Shea Butter and 0.4oz Cocoa butter and keep the rest of the recipe the same. 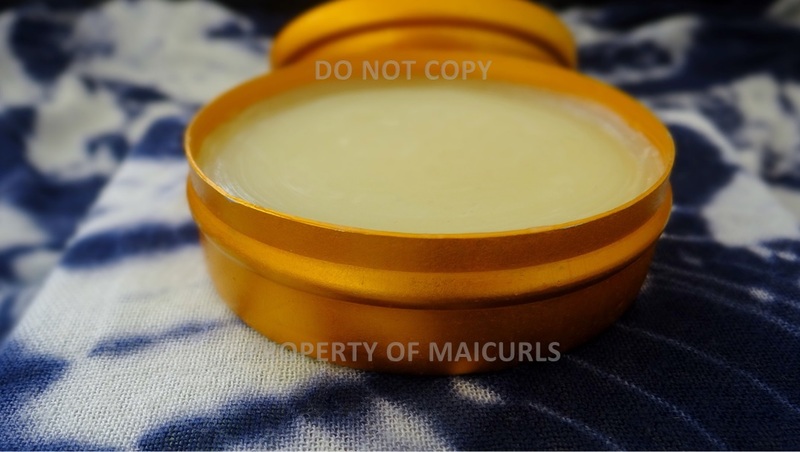 Mango Butter – contains high levels of antioxidants and beneficial vitamins A, C, and E. It is a highly moisturizing butter which is able to restore flexibility, effectively treat dry and itchy scalps and therefore is said to aid the growth of hair. Because of its high content of fatty acids it is believed that it might actually be more moisturizing that Cocoa and even Shea butter! (“lays” your hair and helps with growth). Virgin Coconut Oil – provides shine and strength to the hair, has conditioning properties and even helps promote a healthy scalp which can result in healthy hair growth. It does not make the hair feel greasy and since it is penetrates into the hair shaft, the oil strengthens from within. Aids in sealing in moisture and works well to stop frizz as well. (“lays” your hair and helps with growth). Coffee Bean Infused Almond Oil – reduces hair shedding and said to reduce excessive hair loss because of the antioxidants present in caffeine. Increases hair growth since caffeine promotes blood circulation in the scalp which promotes growth and is known to darken the hair and slowdown the early onset of grey hairs with frequent and consistent use*. (helps with growth). Vitamin E Oil – commonly used oil to help extend homemade products shelf life (however only for a little bit.) This oil rejuvenates and offers protection to the scalp because of its nourishing properties which can lead to hair growth. (helps with growth). Castor Oil (Jamaican Black Castor Oil) – considered as a humectant that also happens to hold anti-fungal properties. It helps thicken and grow the hair while working as an excellent sealant. Due to its thick and sticky nature a little goes a long way (which is why I use so little of it). (helps with growth). Melt down the butters in a double broiler (no more than 5 minutes required) then take it off the heat. Add the Virgin Coconut Oil to the melted butter (the warmth from the butters will melt the oil). Add the remaning ingredients: coffee infused almond oil, Vitamin E oil, castor oil & essential oil. Pomade: To make it a pomade just let the mix set at room temperature overnight. Depending on how warm/cold your house is, the mix can become a little more runny or slightly thicker but it will not become extremely firm or liquid. 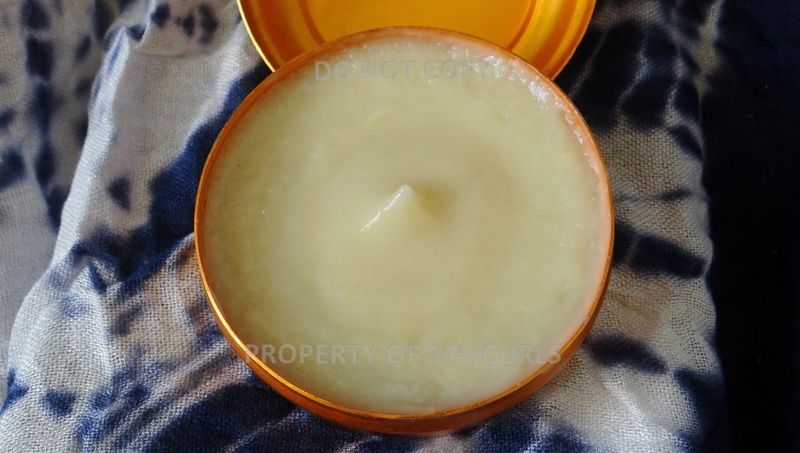 Balm: To make a balm you will want to let it set in the fridge for a few hours (minimum 4 hours – best overnight). In order for it to remain a balm you might have to restore it in the fridge after use, however, depending on how warm/cold you house is it can retain a slightly soft “balmy” consistency outside of the fridge after you have let it set. 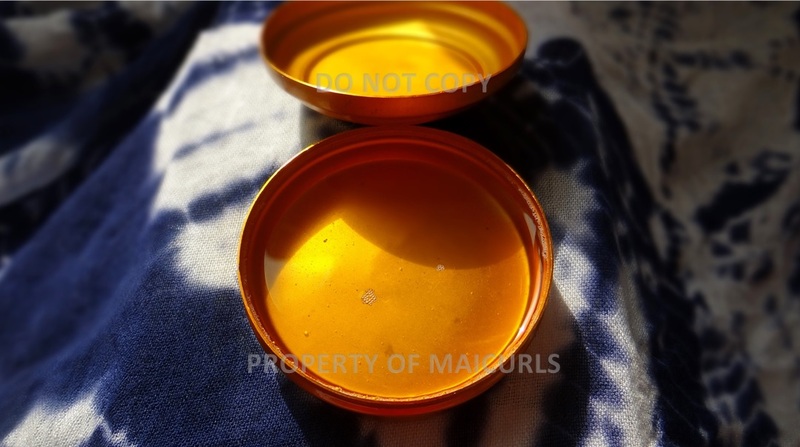 DO NOT CARRY THIS PRODUCT IN YOUR BAG, IN YOUR CAR, POCKET ETC BECAUSE IT WILL MELT AND CAN SPILL OUT THE CONTAINER! NOTE: I am neither a doctor, a dermatologist or a medical professional. This recipe is for informational purposes only and should not be used as a medical remedy to hair loss, skin disorders or be used as a replacement for anything provided to you by a professional! All you need to do is glide your finger over the product (lightly) and then rub the product on your fingertips to warm it up. Lightly and gently apply it to your edges with your fingertips and then either brush back your edges or tie down a scarf. I love your recipes, I still have to find ingredients here in New Zealand, keen to try it out! I have my fingers crossed you find them. P.s. I did end up having to get my butters Online (they don’t seem to be familiar with hair/skin butters in desert country lol).